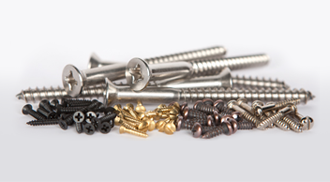 The Screw Specialists in Clifton, New Jersey, offers a variety of hard-to-find classic and specialty screws for hobbyists, building enthusiasts, and the do-it-yourself builder, providing screws that are not generally offered by most other companies. Our owner started out sweeping the floors of the company he eventually bought, and which now owns The Screw Specialists. Find a wide variety of old-school slotted screws needed for rebuilding old items like instruments and wagons. In an industry that increasingly relies on Phillips head screws, we offer stainless steel wood screws and sheet metal screws to rebuild any vintage item.